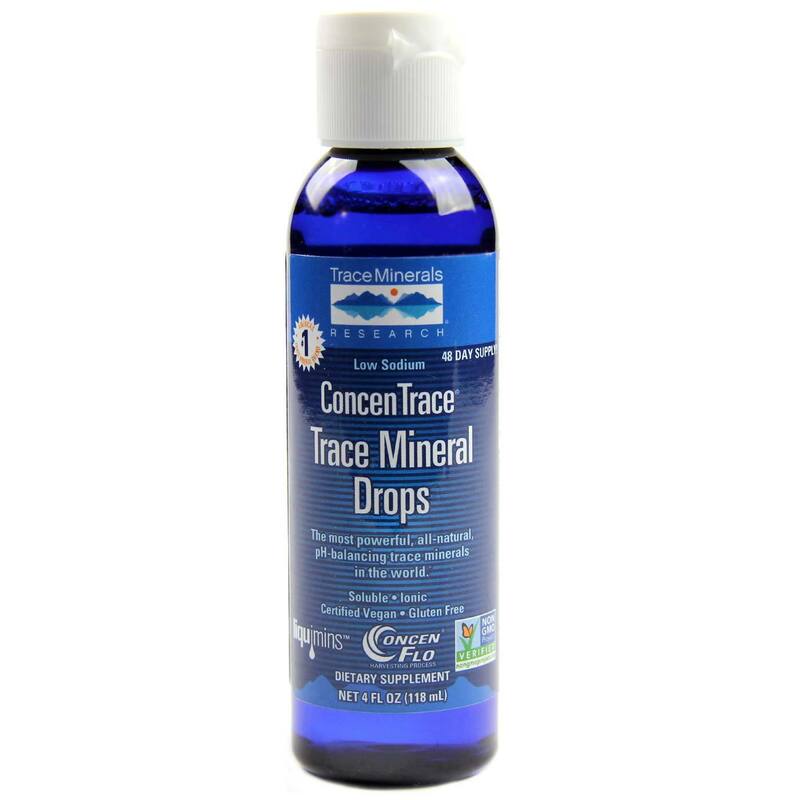 ConcenTrace Trace Mineral Drops by Trace Minerals Research features a low sodium formula. Advertências: Keep out of reach of children. Do not take more than recommended dosage. Consult your healthcare provider before use. Notas: Contains no known allergens. Gluten free. Non-GMO. Vegan. Recomendações de uso: Begin regimen by taking 1/4 teaspoon (20 drops) for 3 consecutive days. Each day thereafter, increase dosage by 5 drops up to 1/2 teaspoon (40 drops) once or twice daily. 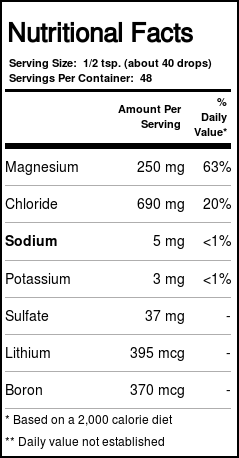 Mix with any beverage or food at mealtime to mask the concentrated mineral flavor followed by a glass of juice or water. Moderately increased dosages are safe if needed or desired, but larger amounts may cause a laxative effect. 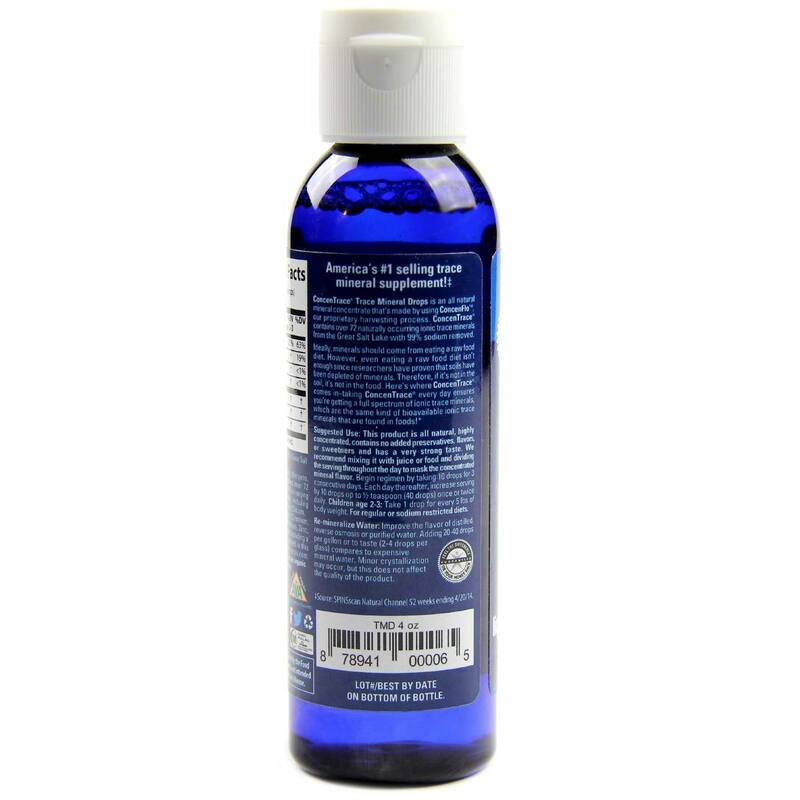 Remineralize Water: Improve the flavor of distilled, reverse osmosis or purified water. 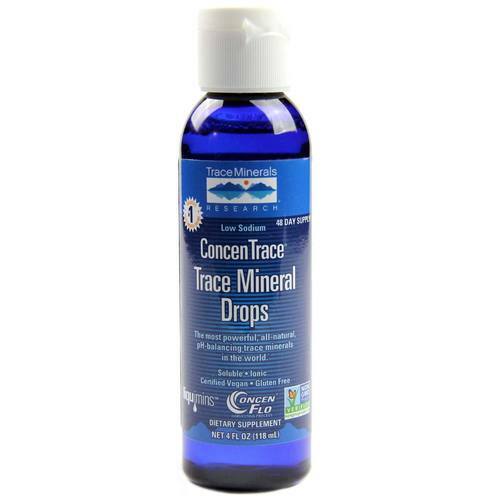 Adding 20-40 drops per gallon or to taste (2-4 drops per glass) compares to expensive mineral waters and adds a complete, balanced spectrum of low sodium minerals and trace minerals. 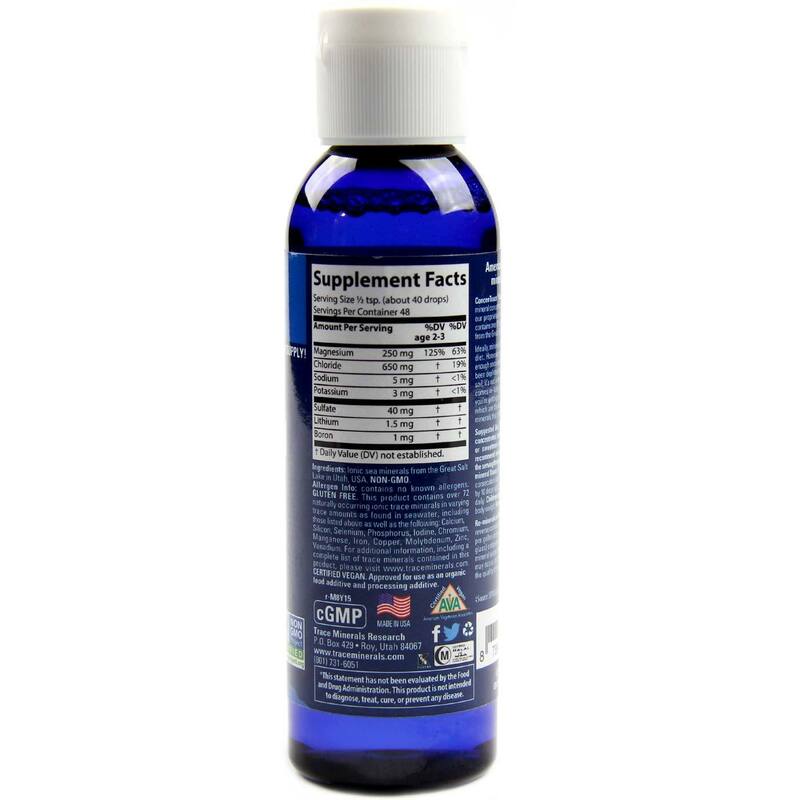 At 20 drops per gallon, 8 ounces will remineralize 192 gallons. Trace Minerals Research Avaliações de Clientes.